Pangu team released Pangu updated version Pangu 1.2 Download today. 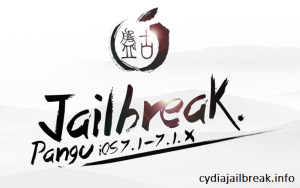 They released Pangu download new version with the Fix boot loop error for some iphone 4S and iphone 4 devices, Add notification if the Pangu jailbreak process went wrong and with some minor bug fixes. Download Pangu 1.2 also supported to English language and you can ru the process on a computer running on windows or Mac OS.